A very successful ceiling feature light installation recently completed by Leigh Electrical in Great Wakering. 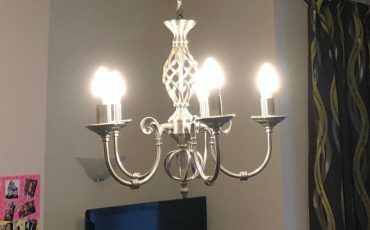 The reputation of Leigh Electrical in the Great Wakering and wider Southend Borough for completing feature lighting installations to an exceptional finish is wide spread. This particular installation was through a referral from a previous customer who we had completed a similar installation for approximately a year ago. Due to the cost of feature ceiling lighting, it is important to use the services of an electrician who has significant experience in their installation, such as Leigh Electrical. We have numerous other examples of feature lighting installations we have completed in Southend-on-Sea and Westcliff-on-Sea available to view. Leigh Electrical hold full NICEIC Membership, which offers our customers the full coverage of the NICEIC Platinum Promise Guarantee. To speak to our team regarding feature lighting installations in Great Wakering or the wider Southend-on-Sea area, then please call us directly on 01702 873350. For further information regarding our domestic lighting installation service or any of our other domestic electrician services we offer in Great Wakering please select either of the previous links. 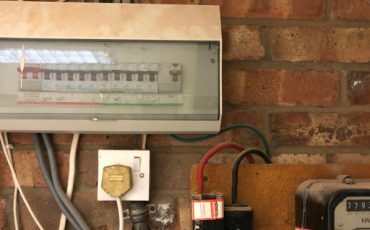 Lighting Installations in Great Wakering – Why Leigh Electrical? Leigh Electrical have been completing feature ceiling installations in Great Wakering and the surrounding areas for over 50 years. We have a long history of providing an unparalleled level of service and lighting installation expertise in the area and this is clearly evidenced by the extremely positive feedback we have received from previous customers on both Checkatrade and Trustatrader. We are members of Trustmark and operate in the Great Wakering area, 7 days a week including evenings. All of our quotes are provided free of charge and at times that suit you. For further information please call 01702 873350. Feature ceiling light installation in Great Wakering. Please call us directly on 01702 873350 for further information.